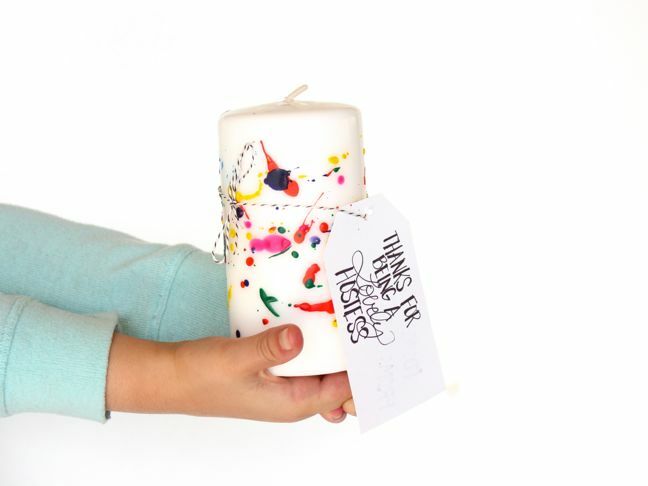 Bonus: You can give them away as favours or shower game prizes! 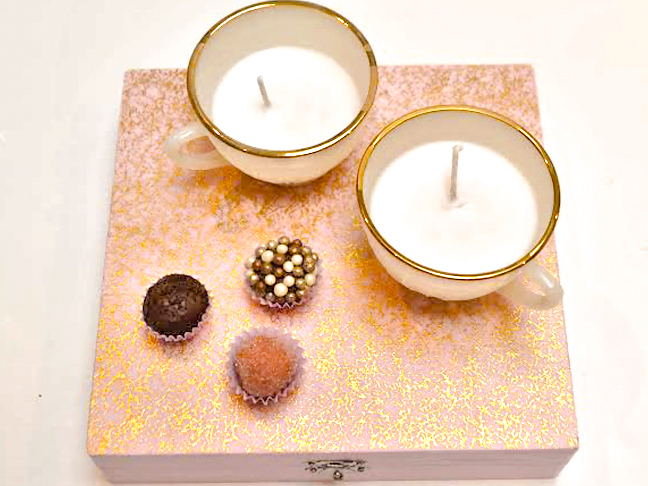 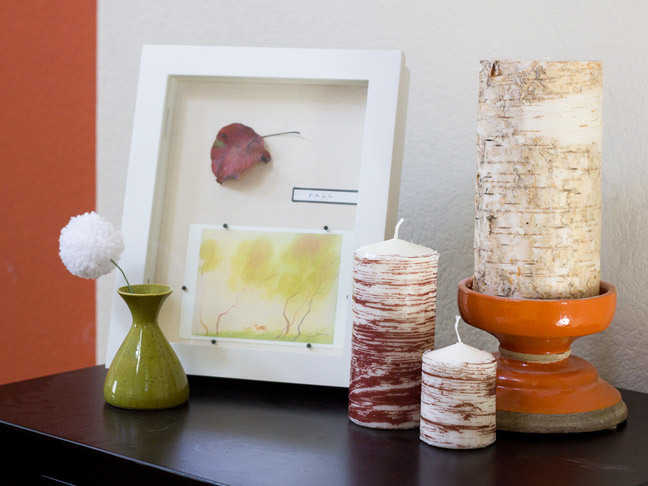 I armed my kids with crayons and a blow dryer for an afternoon craft project turned perfect hostess gift. 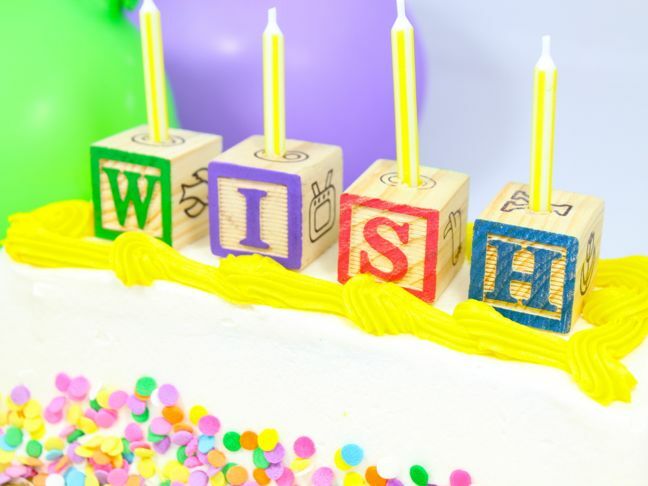 I made these colourful, personalized cake toppers using toys my kids have outgrown. 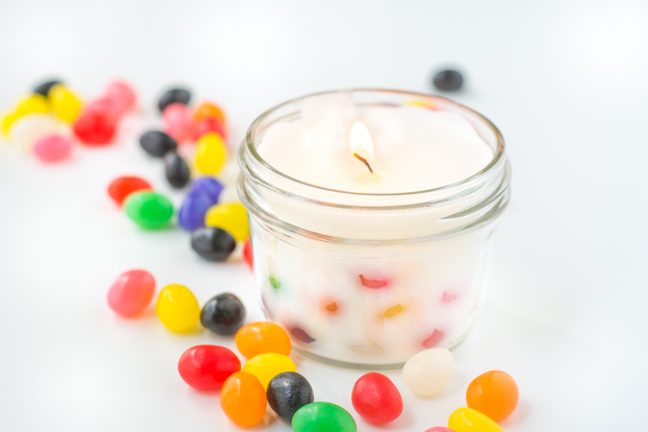 Jelly beans add subtle pops of colour to these fun candles.